The brand new 2014 Ford Fiesta has recently been named the highest MPG for a non-hybrid gasoline car, at 45 MPG highway! Wow, now that’s something to be proud of. 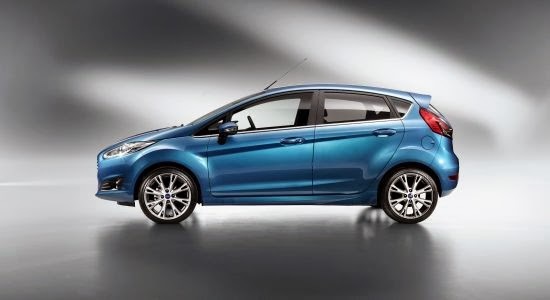 The EPA rated the new Fiesta at 32 MPG city, 45 MPG highway and 37 MPG combined. What’s that mean for the future of non-hybrid cars? It means Ford is on its way to continue leading the industry in impressive fuel economy vehicles. 45 MPG highway is great, but what’s even better is the price of the 2014 Ford Fiesta. The Fiesta’s 1-liter, three-cylinder EcoBoost engine models start around $16,000. If you’re looking for a value, the 2014 Ford Fiesta is just what you need to get where you need to go. 45 MPG highway means less money spent at the pump. Think what you could do with all that money saved by purchasing the highest MPG rated non-hybrid 2014 Ford Fiesta. Contact us today to test-drive a 2014 Ford Fiesta at the Uftring Automall in East Peoria! Click here to view our new Fiesta inventory.